We have long since discovered and named our various body parts, both internal and external. While no part of the body is without purpose, there are some that can be removed and we may still live a life of quality. That is not true for the heart or the brain. The brain governs all the functions of the body. It is the "command center" if you will, controlling both voluntary and involuntary functions of the organism. However, there is a part of the human organism which controls the quality of life that has not yet been discovered. It has been identified, but not found. We do not know its location within the frame, nor its size, though it is usually associated with the brain. We know that without it, one's quality of life is diminished to the point of needing constant assistance and supervision. We call this phantom-like phenomenon the mind. "The mind is a set of cognitive faculties including consciousness, perception, thinking, judgement, and memory. It is usually defined as the faculty of an entity's reasoning and thoughts. It holds the power of imagination, recognition, and appreciation, and is responsible for processing feelings and emotions, resulting in attitudes and actions. There is no universally agreed definition of what a mind is and what its distinguishing properties are, although there is a lengthy tradition of inquiries in philosophy, religion, psychology, and cognitive science." We use the mind to think. We use the mind to control our attitude. 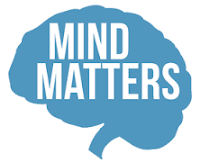 The mind is referenced many times in the Bible, often directly as "mind" and other times as "heart;" but always as that which plays an important part in a successful Christian life. I want to focus on two verses that will point us in the direction of biblical, Christ-like success—1 Cor. 2:16 and Phil. 2:5. "We have the mind of Christ" is often quoted as a matter of positive confession. It is supposedly a statement of a 'positional reality' that may not yet be fully realized in one's life. In my experience, however, I usually see this used as a justification for whatever a person may be doing/thinking regardless of its proximity to righteousness. Before we can take a verse out of its context, we must first discover the contextual truth being taught. In this particular case, we have just a phrase being yanked out of context to make a statement that is most often far removed from reality. Is it therefore wrong to claim this part of the verse for oneself? No. Not if it is true. However, taken by itself, without consideration of other scripture, will most often render the statement false. In fact, if you will stay with me here, I will show that you will probably never use that statement once it becomes a reality in your life. Do we have any indication in Scripture? Is there a way we can define that aspect of divinity to which we so boldly lay claim? There are two things to notice concerning the importance of this passage. 1.) The importance of this section is often lost in the midst of a theological debate as to Jesus' divinity while on earth in human form. The argument centers around the question, "Of what did Jesus empty Himself?" While that may matter in certain circles, it obliterates the central truth the Holy Spirit would convey in this section. 2.) The importance of this passage is contained in the command (KJV); the admonition (NLT) of the opening line—we are to have the same mind/attitude that Christ Jesus exhibited as a man. Paul then goes on to describe what that mind looks like. Is that what you see when you hear someone quote 1 Cor. 2:16 for themselves? Is that what you are saying when you quote it for yourself? Humility governed His actions. If we are to have the mind of Christ, then we will be governed by humility in our pursuits of this life. Have you attained to His level of humility?